Today’s post is shared to us by our co-host Tanya. 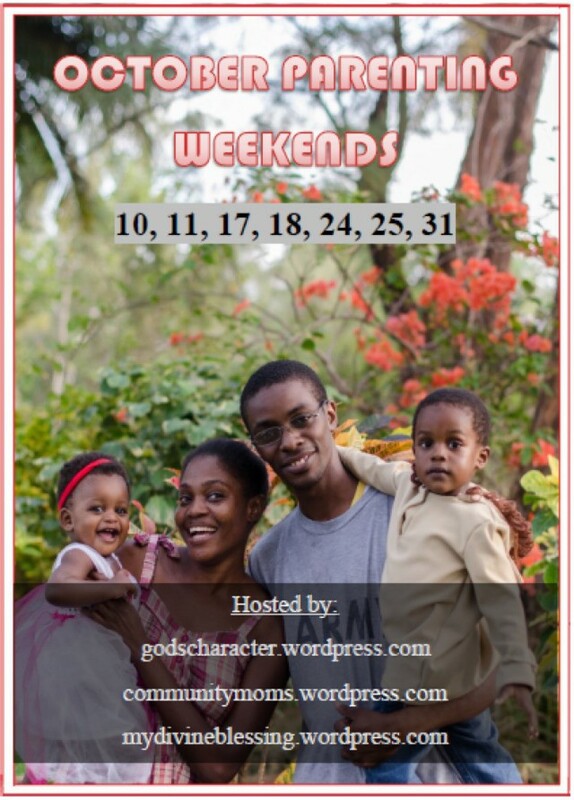 My name is Tanya and I blogs at God’s Character, where I share about God’s love for us. I talk about everyday life where we see God’s character showing through. I also blog about homeschooling, parenting and family life. I love cooking, singing, crafting, sewing, science (the simple stuff) being in nature and teaching. One of my new found interests is learning to play the piano. Someday soon I hope to be able to accompany my children as they sing for Jesus. When I was growing up my mother would always say “I want you to be a leader and not a follower.” Those words really impacted me. What I took from them was that she wanted me to choose the path I would take and not just follow someone else’s. As a mother I also find myself saying this, but this time I am saying it to myself while I look at my children. How do I instill in them leadership qualities? How do in teach them to be able to stand on their own? For me what I do is to try to get the children to think about why they are doing something. I try to get them to understand that you don’t just do something because someone told you to do it. One day my son was playing with something he should not have been playing with. I asked him what he was doing and he told me that his sister had told him to do it. That began our discussion about whether the thing he was doing was right. I told him he needed to think about whether something was right or not instead of simply doing something because someone told him to do it. For me a characteristic of a leader also includes being able to stand alone. When I think of a leader I think about a person who is able to stand up and do something on their own. I really don’t think that a good leader is going to base his life on whether someone will follow them or not. Good leaders are the ones who do things even if no one is doing it with them. Sometimes children will call us or ask us to do something for them. As an adult sometimes we say to ourselves, “I am not going to let a little child tell me what to do.” and so we refuse to listen to the child because of pride. I mean, why can’t an adult listen to a child? Is it because he is too little to tell us anything? This very point is something that came up in our family. After talking about it we looked at how we expected the children to be leaders, and yet when they were displaying leadership qualities with us, we disregarded them. Now, I try to make a conscious effort to follow the children when I can. And I think they love being able to lead their parents- not in a “I have all the power” type of way, but they are just happy to have us doing what they are doing. You know, I really do believe that Christians should be leaders. I believe that it is in having a strong character that will enable my children and us all to be able to resist the evil that is in the world today. Therefore, take up the full armor of God, that you may be able to resist in the evil day, and having done everything, to stand firm.